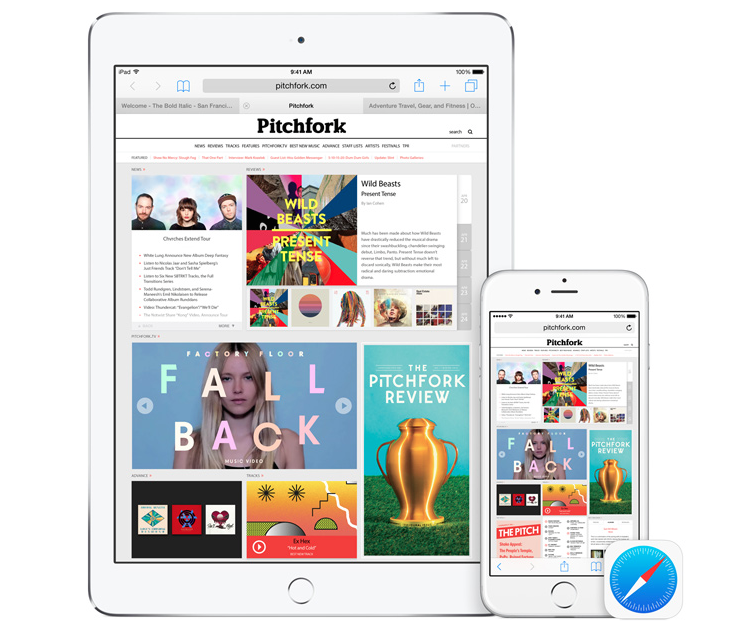 With new features like Continuity and Handoff, iOS 8 connects iOS devices and Macs seamlessly. iOS 8 is the most significant and functional update to iOS devices since the launch of the App Store. The eradication of skeumorphism in Apple’s mobile operating system, iOS, was started with the introduction of iOS 7 just over a year ago. It was a radical turn for the tech company. Many people initially raised their reactions against the shift to a flat, cleaner look of its user interface. Some argued about the flat look that stripped down on the beauty of the user interface, yet the adoption rate is ironically high for its praises. Now, Apple is taking the flat design philosophy one step higher, adding some incredible innovations to integrate its portfolio of devices together. This is the review of the latest version of Apple’s mobile operating system: iOS 8 for the iPhone, iPad, and iPod touch. iOS 8 introduces some great features, including redesigned and refreshed apps like Messages, Safari, Mail, and Photos, an improved Notification Center, a new Spotlight search engine, a third-party support for keyboards, a Health app, improved Siri, and the Continuity feature that lets Mac users to seamlessly connect and integrate their iOS devices. It was termed to be the most significant update since the launch of the App Store. But does it live up to its name? 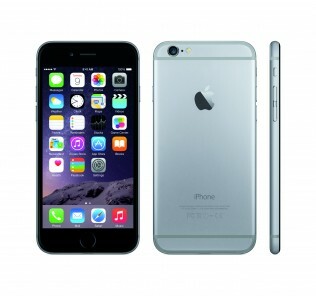 iOS 8 is a functional upgrade from iOS 7, which introduced the flat user interface. It is termed “flat” in the design jargon since all of its interface elements have been stripped down to a bare minimum, without all of the shadows and depth we have seen on iOS 6 and below. The icons are very simple and minimalist; icons are designed to follow a grid within a rounded square that gives the consistency among the interface elements. Transparency is also prevalent around the interface. A translucent glass look was introduced in iOS 7 to bring a sense of space within an active application window. iOS 8 polished some of the new animations introduced in its predecessor, with subtle fades and shifts throughout the screen. 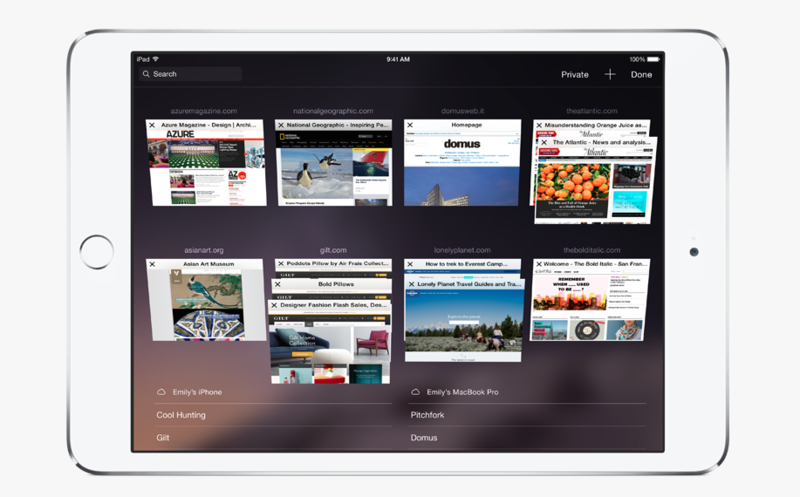 A much-improved Safari browser comes standard in iOS 8. Photo from Apple. The basic apps in the iOS ecosystem include Safari, Mail, Messages, and Photos. With Safari, Apple has significantly improved on its load times with behind-the-scenes optimizations, and introduced a new way to browse the web with a Private Browsing mode that can be switched on leaving all your open tabs as is. The previous version of Safari for iOS 7 doesn’t let its users to use the Private Browsing mode without closing all other normal tabs. This is a very welcome addition for power users who takes advantage of many tabs – private or not – to be viewed simultaneously. The Mail app offers new management features. Photo from Apple. 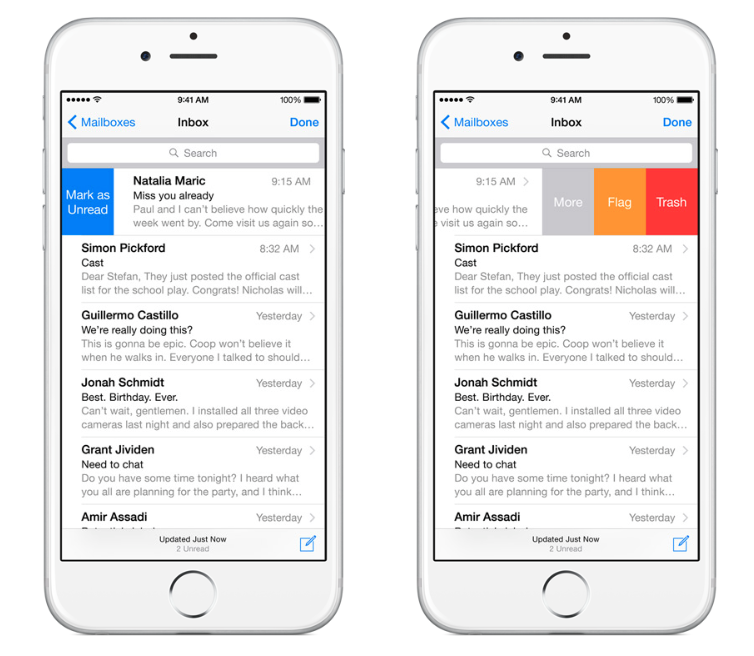 The Mail app has also improved with new swipe functions such as swipe to Mark as Read, and the Messages app is also refreshed with various improvements such as short voice messages. Photos is even better with new editing tools for image enhancements, and support for iCloud Photo Stream as well as iCloud Photo Sharing, a sharing service by Apple. The Photos app lets you organize your collections by location, day, week, month, and year. 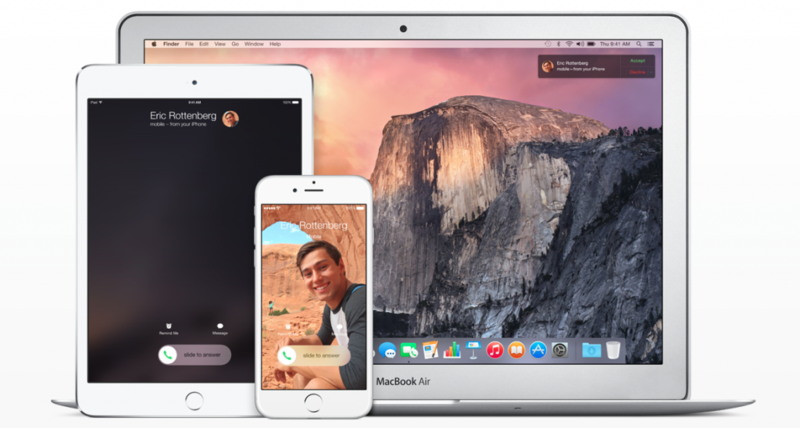 With iOS 8, Macs and iOS devices are interconnected better than ever. Photo from Apple. Ever since the introduction of iCloud, Apple has made it possible for Macs and iOS devices to work in harmony. Steve Jobs made the slogan about iCloud: “It just works”. 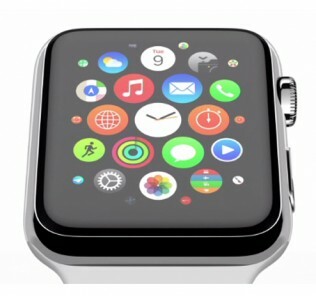 Now Apple has taken this idea even further with the Continuity feature. Continuity is a new innovation that makes the iOS devices and Macs even more connected. How? Let’s take an example of an iPhone and a MacBook Air. When you have incoming calls on your iPhone, your Mac is able to take that call for you without picking up the phone. When you start composing an email on your iPhone and you left it, you can continue working on that email on your MacBook. These can be reversed, too – working on your Mac and continuing on your iPad or iPhone. 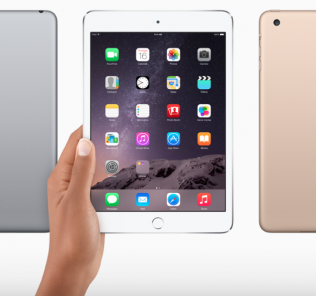 Continuity promises a big impact on the seamless integration of all your Apple devices. Handoff provides seamless usability from one device to another. Photo from Apple. Handoff is a cool feature that is a part of Continuity. This works thanks to the Bluetooth low-energy and Wi-Fi enabled on your devices. For example, when you browse on Safari on your Mac, you can resume to where you left off on any of your connected iOS devices. A simple swipe from the lock screen lets you continue your work on any of your devices with utmost ease. 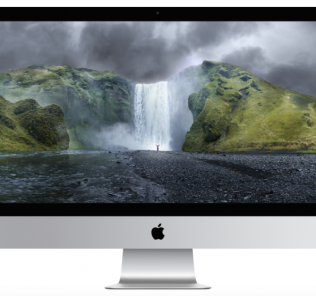 There are hardware limitations, however, to make Handoff possible with Macs. 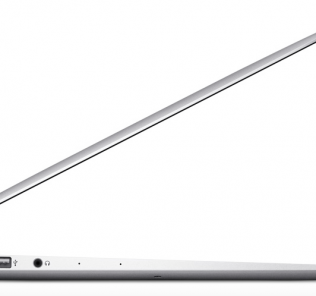 Handoff requires Macs introduced in 2011 or later. Notification Center is more helpful than ever to bring at-a-glance information. It now supports various apps that provide widgets on the Notification Center panel. Notable apps that make use of this feature include Yahoo!, Yahoo! Weather, and Dropbox, among others. The redesigned panel now features a Today and Notifications View that lets the user to view calendar events, reminders, and the current weather for the day, as well as unread notifications. A new addition to the Notification Center is the ability to interact with notifications as it appears. When a new mail in your inbox arrives, an interactive notification appears that lets you reply to that message, or simply delete it without even opening the Mail app. Some core apps of iOS 8 support this feature, including Calendar, Messages, and Game Center. Third-party keyboards feel at home in iOS 8. Photo from Apple. iOS has been known to be a closed ecosystem. Previously, it only had its own keyboard that did not let its users to customize it like the customization options in Android. 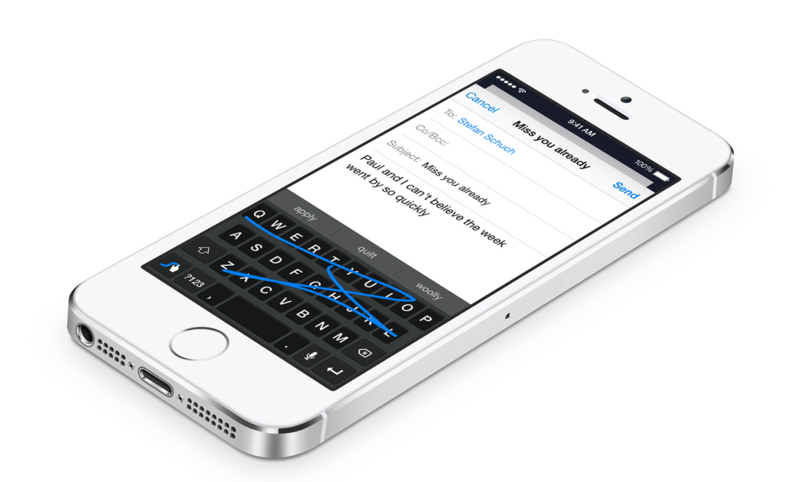 With iOS 8, third-party support for keyboards is a reality. Some notable third-party keyboards on the App Store include Swype that features fast typing with the use of swiping gestures to compose. The all-new Health app. Photo from Apple. 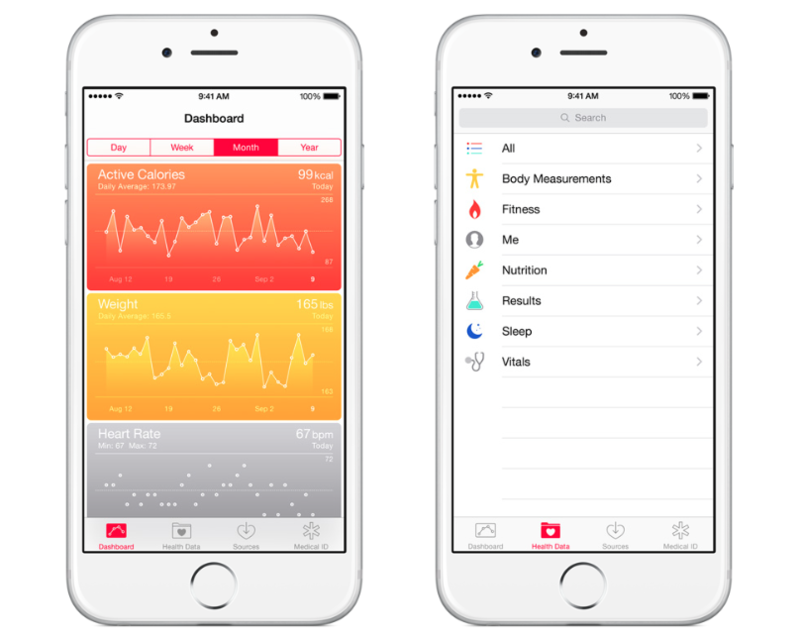 The all-new Health app is now in iOS 8. It supports health information such as calorie intake, blood pressure, weight and height, and even counts how many stairs you have climbed (supported on iPhone 6 and iPhone 6 Plus). The app also features sleep analysis which tracks the quality of your sleep. It is also helpful for your exercise routine, as it tracks current workout information as you go along. The Health app is powered by HealthKit, a framework designed to supply health information with various health accessories such as a heart rate monitor. It is only available on the iPhone 5s, 6, and 6 Plus since these phones have the M7 and M8 coprocessors that processes health information. Siri, the famous virtual assistant in iOS, is now greatly improved with some cool new features. With its Shazam integration, Siri is now able to name any song you want to know the title of. Just open up Siri, and tell it to name the song that’s playing. It also comes with more languages, including variations of English, Chinese, Japanese, Italian and German. And you have the option to choose between a male or a female Siri. It also improves on its load times, and it comes with better search recommendations. iOS 8 is a solid upgrade with its entirely new features, fresh improvements, and a more stable, cleaner, and smoother user interface. Everything that was needed to be improved from iOS 7 was present in iOS 8. True to its word, the iOS 8 is the most significant and functional update to iOS devices since the launch of the App Store. 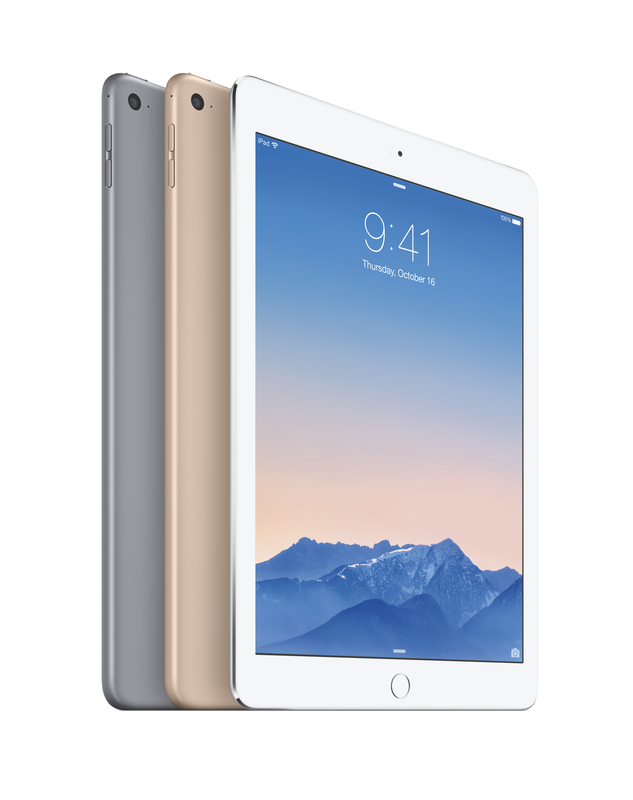 It is available to download for free as an over-the-air update for iPhone 4s and later, iPad 2 and later, iPad mini and later, and the 5th generation iPod touch.